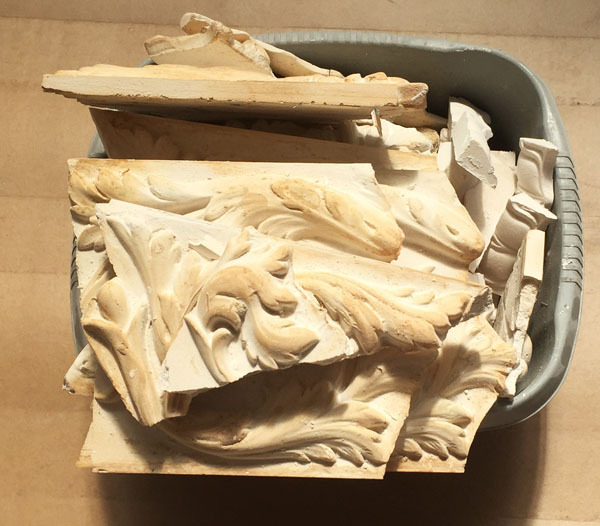 Reproduction of original plasterwork constitutes a majority of the work that we do. For this we require a piece of the original plasterwork, (as shown) a detailed drawing or in some cases a 1:1 profile will be enough. As period house are being restored to their former glory, this service is becoming increasingly popular. Special projects allow us to illustrate our design skills. The original plasterware is brought to the workshop. 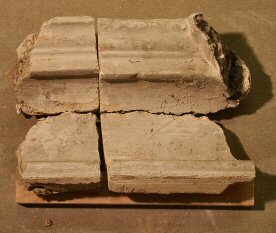 A silicone or plaster mould is made and then the plasterware is cast back to its former glory.